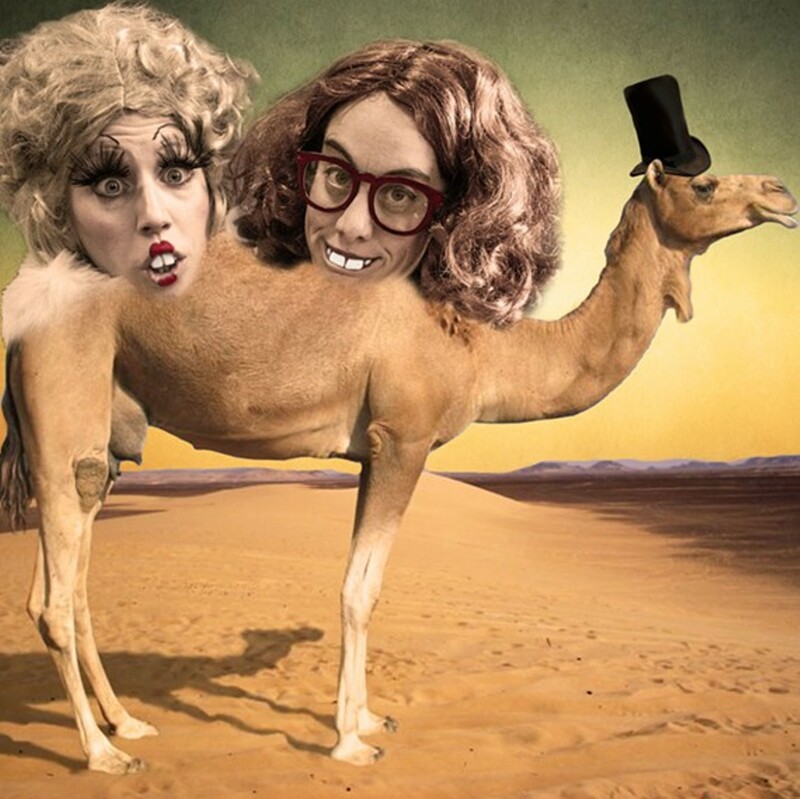 Camel Camel, an original comedy by international female duo Glitter Gizzard (Meghan Frank and Janessa Johnsrude) kicks off a 2015 west coast tour at the Arcata Playhouse as part of the Creamery District Arts Festival. Desert voyages! Slapstick! Androgyny! Matadors! Imagine Abbott and Costello meets David Lynch or Beckett meets the Golden Girls. The sublimely grotesque and classically charming vaudeville duo, The Camel Sisters, invite you into their delightfully bizarre stage show.